Contract Vault - Simplified smart contracts. BerandaContract Vault - Simplified smart contracts. The idea of ​​the appearance of smart contracts appeared back in 1994. However, at that time there were no opportunities and tools for its implementation. The company took more than 10 years to create the first smart contract in practice. 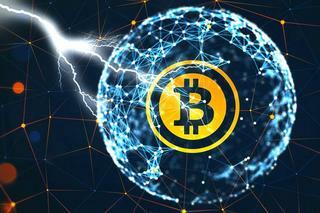 Some principles of this phenomenon are laid in Blockchain, created by Satoshi Nakamoto. But really smart contracts began to be applied only with the advent of the Ethereum system, implemented by the programmer Vitalik Buterin. A smart contract in practice is an electronic contract and in paper form does not exist, within which one party transfers other goods or services, and the second pays them. But most importantly - a smart contract allows you to conduct any transactions without the involvement of a third party with a high degree of reliability. Contract templates are often poorly structured, obsolete, unclear, not really tunable or blurred in meaning and require too much legal knowledge for use by ordinary consumers. Creating contracts is a complex, inefficient and tedious process, even for lawyers. Cooperation with clients turns out to be ineffective and often turns into an exchange of documents by e-mail. Legal and technical advice on traditional contracts and smart contracts is expensive and often not provided promptly. Smart contracts are difficult and expensive to implement, they are incomprehensible to most people without technical education, they can be unsafe and often do not meet the requirements of the law. To all above listed it is possible to add still such unresolved problems. In addition to contracts, many legal systems use contracts, the necessary formalities. For example in Switzerland, a will must be handwritten, and the surety must be in writing and notarized. Contracts and Ricardian contracts for these use cases. use of workarounds to make them possible today. Contract Vault is convinced that Blocheyn solution for land registers, business registers as for corporate law in general, will be made faster in emerging markets, as their processes in optimization are much more significant. 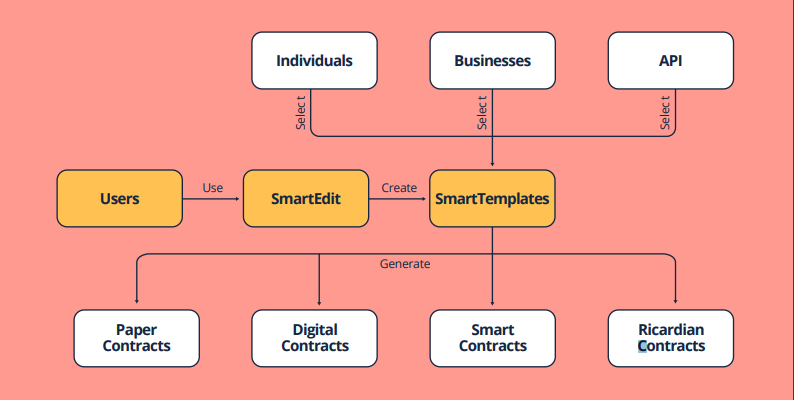 Users can create their own multifunctional personalized templates SmartTemplates or access to a large number of ready-made validated smart templates that have legal effect, which can be used to formalize any traditional contract or smart contract. Lawyers can provide advice, access to secure smart contracts and use our tools, such as SmartDossiers, to work more effectively with their customers. Blockchain specialists can offer their skills and services right on the Contract Vault trading floor. Companies can quickly and effectively implement contracts that are adapted to their requirements. A unique platform can cover literally all spheres of society and become very useful and indispensable there. Sell ​​through contracts you have set up, provide arbitration and mediation services, and offer your expertise in law to customers and companies directly on the Contract Vault site. Eliminate the gap between traditional contracts and smart contracts. Create new or improve your current applications by integrating smart contracts into existing business processes. Offer Contract Vault users personalized services based on the type and content of their agreements. Optimize your business processes by easily linking smart contracts to your applications. Reduce administrative costs by managing Contractual Agreements on the Contract Vault platform. Offer our clients our services as an additional advantage. Meet directly with those who need your technical knowledge. Offer consumers and companies on our trading platform the services of creating smart contracts, conducting audits and consulting. Take advantage of our visualization and verification tools when building and managing smart contracts. FIRMS Expand your coverage and range of services in the world of smart contracts that have legal force. Simplify current workflows and streamline the process of creating traditional contracts. Make your services and skills even more accessible to potential customers by providing them with content and advice on request. Use professionally drawn up traditional contracts and smart contracts without unnecessary effort and the need for special legal or technical knowledge. Easily and simply get advice on legal and technical issues. Receive profit at the expense of special offers of our interconnected system of work.